Today marks the 7th Anniversary of my website/blog and it is also my birthday. I can’t believe it’s been 7 years since I first started this site, while I was living in Austin, Texas. I can remember it like it was yesterday. 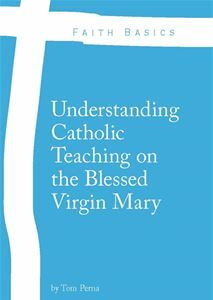 My father had suggested finding a way to share with others my love and ability to write about the Catholic faith. After some research, I found WordPress, developed my initial blog, and as they say, the rest is history. My first blog post, dated January 29, 2012, was titled – The Spirit of Catholicism. A lot has happened in the past 7 years, but the best thing has to be my marriage to my wife, Megan, back in September on the Feast of the Nativity of the Blessed Virgin Mary. If you never read the entire story on how we met, I would encourage you to read – Brews, a Beard, and a Beauty – A Catholic Love Story. After years of praying, and lots of people praying for me, I met the woman that is my everything. Our Lord knew exactly the woman I needed in my life, so He sent me my wife. I love you Megan. When it comes to my writing, a lot has also happened. Not only do I continue to be a monthly contributor a variety of Catholic websites, most often on NewAdvent.org and Convert Journal, but my writing has also been featured in different countries across Europe and Asia. Recently, I have become a contributor on EpicPew. Including this post, I have written 887 different articles over the last 7 years. To add new content to my website, I have started interviewing friends who are promoting the Catholic faith through small businesses online. Over the past year, I have also become an affiliate to some Catholic organizations. As an affiliate, you earn a percentage when someone purchases items on a given site. As of right now, I am affiliate for Sock Religious, Catholic Balm Co, Rugged Rosaries, and HolyArt. I also advertise for Regina Cigars and Small Things, Great Love. 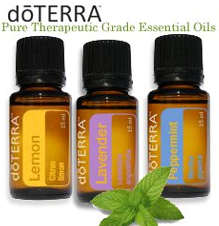 My wife’s Doterra page is also listed on here. The latest addition to this website are my Catholic Podcasts. I found a free website to upload all my talks/presentations that I have recorded over the years. As I continue to give talks, I will upload them on my podcast page. As of today, you can listen to my podcasts on Anchor.FM, Google Music, and Spotify. Hoping that iTunes will add me soon. Thank you to everyone who continues to follow and support me through this website/blog. I truly appreciate your loyalty and willingness to read my writings, when I know there are lots of Catholic bloggers and authors out there. I want to also thank my wife and the entire family that reads and supports me on this site. I give all praise and thanksgiving to Our Lord Jesus Christ, Our Immaculate Virgin Mary, under her title as Our Lady of Guadalupe, all the Angels and Saints, most especially Pope St. John Paul II. Great inspirational writing and so proud to have seen it grow over the years! God bless you and here is to 7 more!